Extracts deeply embedded nails. The heel can be struck with a hammer. 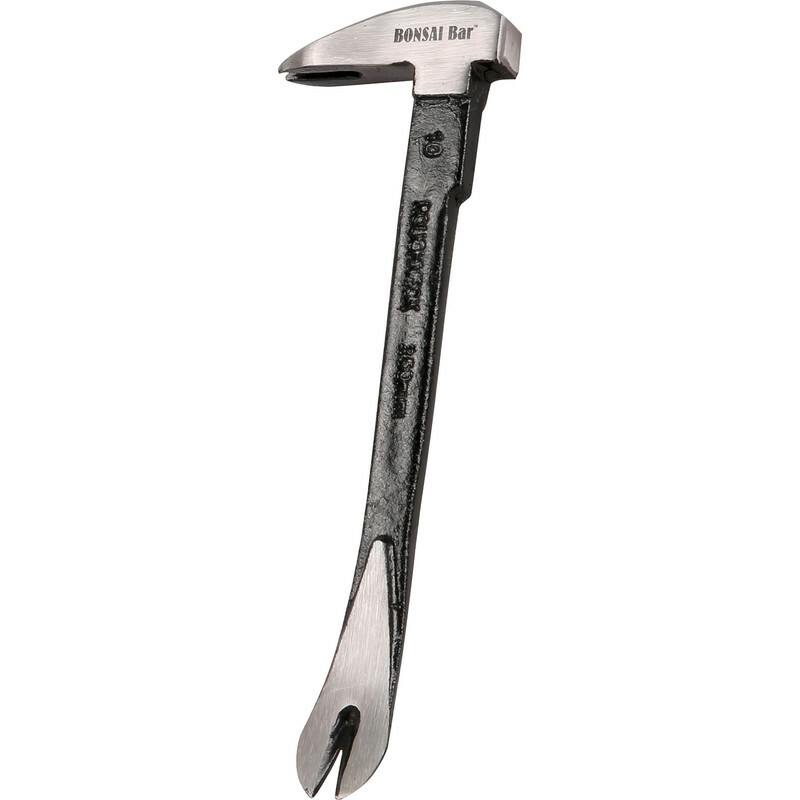 Roughneck Claw End Pry Bar 10" (250mm) is rated 2.9 out of 5 by 8. Rated 1 out of 5 by Brickingit from Don't waste your time I bought this to take up floorboard nails, one of the prongs broke off on the second nail !! Total rubbish, don't waste your time with this inferior tool. Rated 3 out of 5 by Galactus from disappointing purchase I bought this to remove several nails that were almost flush with the wood but unfortunately both jaw ends were not thin enough to go under the nails so I had to remove the wood from around each nail before I could insert the tool. I ended up having to replace the panel with a new one! There must be better ones?